» Home » What's On » Calendar » Crows are Way Cool because . . .
» Home » Events » Events » Crows are Way Cool because . . . Crows are Way Cool because . . .
You live in Vancouver, so it’s safe to assume you are well acquainted with crows. They nest in our street trees, steal food from our beach picnics, and, if we’re lucky, we’ve seen thousands fly eastward like a river in the sky, heading to their winter roost in Burnaby. But did you know that they can remember your face for years, solve puzzles too hard for human toddlers, and know to only use crosswalks when the light is red? 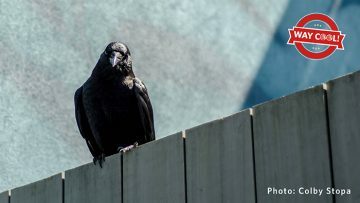 Post-doctoral researcher Ben Freeman will take you on a tour of how crows live their life alongside us here in Vancouver and explain why they have evolved so many way cool behaviours. 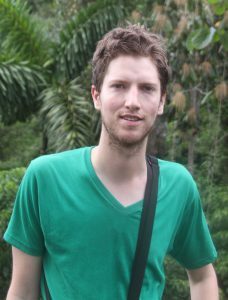 Dr. Freeman is a Banting and Biodiversity Research Centre postdoctoral fellow in Dolph Schluter’s lab at the University of British Columbia. Prior to UBC, he completed his Ph.D at Cornell University in the Department of Ecology and Evolutionary Biology. He is an evolutionary ecologist seeking to understand and explain patterns of biodiversity.